This set only fits Corvettes with the LT1 and LT4 Engines and does not fit LT5 engines included with the ZR1 package. Our molded Corvette coolant heater hoses are made to OEM specifications to provide an easy direct installation and are manufactured in the USA with materials sourced from North America to provide quality. 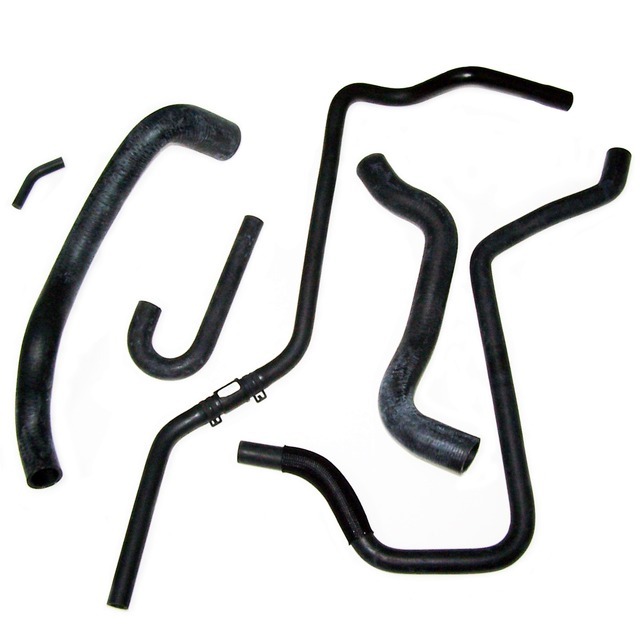 This hose set includes all the replaceable rubber hoses for your Corvette's engine cooling system and the direct fit sizes make it easy to replace old worn hoses. This set will also fit 1993-94 LT1 Corvettes when you wish to eliminate the throttle body coolant hoses, which are used to warm the unit during cold temperatures.